Doctor Who: Looking Back At ENLIGHTENMENT | Warped Factor - Words in the Key of Geek. As Oxford look to overturn a slim two-loss deficit against Cambridge in the annual Boat Race, whilst we take a look back at the era of the Fifth Doctor, where better to turn than Enlightenment? 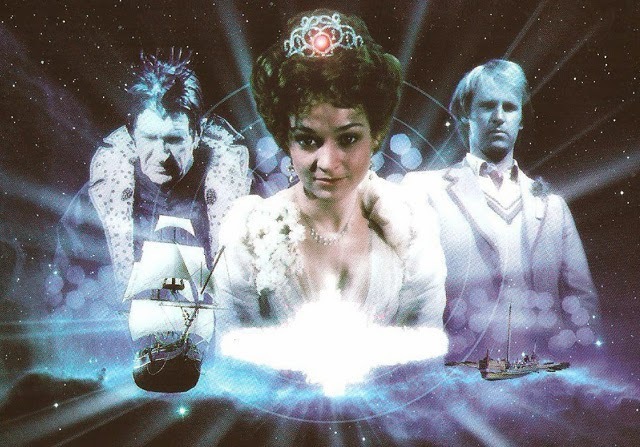 Of course, he had taken Romana for a leisurely punt down the River Cam in his previous incarnation- but this was a race for a rather big prize! And the two sides competing are the immortal Eternals, represented by Captain Striker & his crew aboard a replica of an Edwardian yacht, and Ephemerals- meaning anyone of flesh & blood. It would seem the Doctor has been expected, as he's readily welcomed onto the Ephemeral team.........perhaps not in the position he had anticipated, though. JACKSON: Got your bunk sorted out, have you? DOCTOR: Ah. Turlough, and I'm the Doctor. JACKSON: Oh you are, are you? Well, it's about time. Hey, he's here, lads. The Doctor's aboard. COLLIER: Thank Gawd for that. DOCTOR: You've been expecting me? JACKSON: More than expecting you, slush, we've been waiting for you. Where you been, eh? I mean, we've been living on nothing but hard tack since we come aboard, haven't we, lads? JACKSON: Get us some proper food, that's what we want. COLLIER: Yeah, none of your stinky greasy messes, either. JACKSON: Not like that last cook we had, eh? DOCTOR: The doctor. Of course, the ship's cook. Perhaps our next question should be just why the Eternals are so interested in the Ephemerals in the first place? Simple! The lofty non-mortals use them for their creativity, their own minds somewhat burned out having lived for thousands of years. Hence the various human boat crews racing around the universe alongside them for the rather big reward of enlightenment- the accumulated wisdom of the universe itself, in a sense. DOCTOR: Why are you doing this? STRIKER: The race? As a diversion. DOCTOR: And the crews for the ships, you collected from their different time zones just as a diversion, too? DOCTOR: You had no right to do it. They're real. Living, breathing flesh and blood. STRIKER: You are not an Ephemeral. You are a time dweller. You travel in time. DOCTOR: You're reading my thoughts. SAILOR: Marker buoy, sir, coming up on the starboard bow. STRIKER: The endless wastes of eternity. 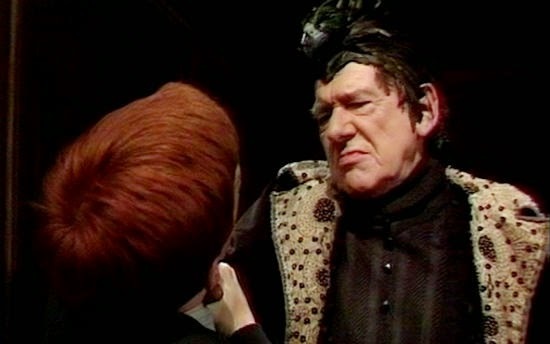 TURLOUGH: You must answer. I need your help. What's going on here? BLACK GUARDIAN: You are pathetic. I have watched your progress. You had many opportunities to destroy the Doctor. TURLOUGH: I can't kill him. In that moment he arguably becomes a fully-fledged companion, and will stay by the side of the universe's finest bowler/batsman until Planet Of Fire, when he chooses to stay behind on his home planet of Trion. 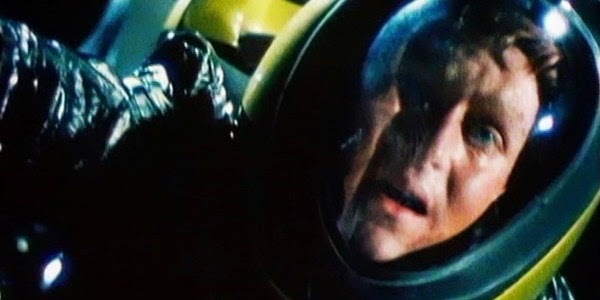 After he's overcome what seems to be a suicide attempt following that nasty Black Guardian's repeated threats to him! DOCTOR: Don't be an idiot. Man overboard! Man overboard! DOCTOR: Man overboard. It's Turlough. JACKSON: Come on, lads, let's try and get a line to him. Wait, the line's not attached. TEGAN: Don't just stand there, do something. Stop the ship. Turn back. MARRINER: It would be ridiculous to risk losing the race for an Ephemeral. TEGAN: We can't leave him, he'll die out there. MARRINER: It will be over for him very quickly. His oxygen supply is very small. STRIKER: A point and a half to starboard. MARRINER: Jib topsail's gone, sir. STRIKER: Take in more sail. MARRINER: Sir. Take in more sail, bo'sun. Batten down the hatches. TEGAN: They must know how to avoid a collision with all their technology. DOCTOR: Well, they may not choose to use it. Against the rules of the race. TEGAN: We could be splintered to matchwood. MARRINER: Stand by, hang the topsail. Find that sailmaker. The two Guardians must meet, as well - for it is the White one's job to dole out the prize of enlightenment. It had also been he who called upon the Doctor to recover the segments of the Key To Time, with a little help from Romana- who was in her first incarnation at the time. DOCTOR: Ah. What do they look like, these segments? How will I know them? DOCTOR: Yes, I thought they might be. GUARDIAN: They contain the elemental force of the universe. They can be in any shape, form or size. DOCTOR: Then how will I recognise them? GUARDIAN: You will be given a locator. DOCTOR: An assistant? Please, sir, on an assignment like this, I'd much rather work alone. In my experience, assistants mean trouble. I have to protect them and show them and teach them and couldn't I just, couldn't I just manage with K9? GUARDIAN: K9 is a mere machine. DOCTOR: He is a very sensitive machine! Sorry, sir. GUARDIAN: You will find your assistant waiting for you in the TARDIS. DOCTOR: Very well, sir. If you insist. GUARDIAN: One final thing, Doctor. GUARDIAN: I am the White Guardian. In order to maintain the universal balance, there is also a Black Guardian, and he also requires the Key to Time, but for a different purpose. An evil purpose. He must not get it. Doctor, at all costs, you must prevent that. DOCTOR: How am I to prevent that? GUARDIAN: Beware the Black Guardian. DOCTOR: Beware the Black Guardian.